What Does A Dog’s Panting Tell You? Dogs normally pant to cool themselves versus sweating like humans. After a workout or when the temperature rises, dogs will pant more frequently. Dogs with smaller nasal passages and short windpipes like pugs or bulldogs tend to pant harder than other types of dogs. But when is panting excessive? As dog owners, we are usually pretty familiar with our dog’s typical panting behavior. What we should look for is an increase in panting or panting of greater intensity than normal. This is without having been exposed to high heat or intense exercise. If a dog seems to be breathing heavily, it can mean there is something physically wrong. Some of the common causes of excess panting include heat stroke, poisoning, obesity, stress or anxiety. In addition, a dog who is in pain will pant more than usual. You should watch closely for other signs such as restlessness, constant licking at one spot or difficulty getting up or down. For older dogs, between the ages of 8-15, panting can be a sign of cognitive changes. Other signs that accompany cognitive changes include pacing, circling or bumping into things. There can be accidents or difficulty recognizing familiar faces. Older dogs may seem to forget their training and fail to comply with normal commands. Medications such as Prednisone or pain killers such as Tramadol or Fentanyl as well as thyroid meds can cause increased panting. Congestive heart failure, seen as heavy panting at night or more fatigue after exercise, may be the cause. With congestive heart failure, your dog may have difficulty with respiration, is coughing at rest or has an enlarged abdomen due to fluid accumulation. It is imperative that you take your pet to the vet emergency center right away, keeping him as relaxed as possible to keep from aggravating the problem. 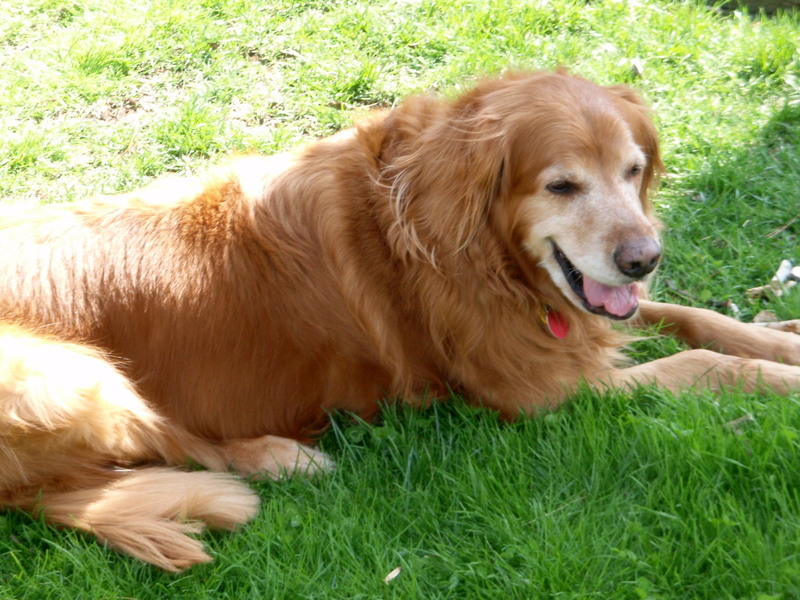 Arthritis in older dogs causes joint pain which is reflected in excess panting. If your dog is not as lively or moving as well as he used to, it could be the onset of arthritis. There are medications that can ease the stiffness and pain, giving your older pet a more comfortable existence in his later years. Again, the best advice is that if you see changes in your dog’s panting behavior, it is a good idea to see your veterinarian. We all want our pets to enjoy the best quality of life they can after all!